How can shamanic healing solve your problems? Shamanic healing is the oldest form of energy healing. A shaman – who performs shamanism – believes that we not different from nature. For shamanic healing – that happens via the relationship between the sufferer, the spirits, and the healer – the sufferer does not need to adhere to any belief systems. Certain difficulties block our energetic system and the supposed way of its flow. Shamanic healing removes and heals these blockages, using the natural tools like feathers, crystal, oil, stone, and the voice. 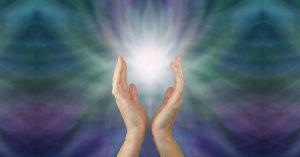 There are many different energy-healing modalities out there these days. I hear about new and exciting forms all the time in my line of work. Whilst there is nothing wrong with this influx of therapies, the anthropologist in me has always been interested in understanding the beginnings or origins of these practices. This is what brought me to Shamanism. During my anthropology degree, I became fascinated with how this is not just our oldest form of energy healing, it was and is our oldest and original way of life –worldwide. For me, this sets shamanism apart from all other modalities. These modalities came from shamanism. Since we came from shamanism – when we connect with this energy – we are connecting with an ancient part of ourselves. We connect back with a deeply true part of ourselves, a mostly forgotten part: our indivisibility with the natural world. For me – and I know for many others – connecting to this energy was like coming home. A Shaman – who performs the shamanic healing – has a very deep connection to the natural world. A shaman understands that we are not separate from nature, we are part of it and that this ‘nature’ extends far beyond the realm of ‘ordinary’ reality and into the spirit world. The shaman harnesses and channels the power of natural forces and archetypal energies enabled via the help of the spirit world – in order to heal the client. The healing happens via the relationship between the client, the spirits, and the healer. The client must always be willing and wanting to heal in order for the session to be effective, though the client does not need to ‘believe’ as such or adhere to any belief systems about the healing for it to work. As with many energy therapies, it is understood that imbalance occurs when there is a disturbance or blockage in the energy system of the client. This is the same for shamanic work and the healing is ultimately always about returning your energy field to its original state of wholeness or luminosity. In the Peruvian tradition I am trained in, my teacher explained that full health is described as being ‘transparent’. Whereas in our culture, we might think it’s an insult to be called that. To be transparent is to be without the mask, darkness, shadows, secrets, and so without anything to hide. If we can imagine for a second, we are born as children of light, of goodness, and of peace. As life goes on, we may not have had great parenting or a challenging illness – for example. These difficulties – especially at a young age – can create blockages in our energetic system and the energy doesn’t flow as it’s supposed to and we can get a disease (mental, emotional, physical). Shamanic healing works to remove and heal those blockages – or sometimes to return missing pieces of our soul – which had to leave due to trauma. Shamanic healing can help put you back together! Each session is always unique and adheres to where the client is on the day. A short amount of talking is usually done to help bring the energy of the situation to the surface but is not compulsory. The client and the shaman then work to decide which healing would be most effective. Soul Fragment Loss And Soul Retrieval – Returning ‘lost’ parts of the soul that detached during trauma. Power Animal Retrieval – Finding your spirituality. Shamanic Divination – Spirit communication in order to receive guidance about past, present, future situations. Shamanic Illumination (Chakra clean) – Helps to transform relationships with challenging issues from the past. Spiritual Intrusion Removal – Entity/negative energy. Psycho-pomp – Communication with deceased. Not all shamans perform all these ways of healing, many specialize and focus on one area or they may work especially with certain plant medicines such as Ayahuasca. Shamanic tools are always natural tools, so objects such as crystals, stones, oils, feathers, and the voice are all used to help enable the healing. How many healings you need or how often you return will be completely unique to you. There have been times in my life when I got 8 healings in a month, and other times where is felt I only needed a couple in a year. Why Is Shamanic Healing Important? So, much of the work of the shaman and the spirits is to empower you to come into your own power and become your own healer. We are provided with an opportunity to go deep into our own selves and release everything that does not serve us. As children, we are taught to keep our emotions ‘in check’ and for many of us – over time – this leads to a repression of often deeply painful emotions, resulting in another form of energetic blockage. The shamanic healing space is a totally non-judgmental, open-minded environment where you can fully let go and release like a child would – wholeheartedly and without any telling off! It is a place where we can return to our ancient ways, our deepest selves, and our most profound truths. Shamanic healing is our birthright – and above and beyond – it as a modality. It is a way of life or attitude that is so deeply needed right now. Many of the problems we face on a personal level, psychologically, and on a collective level – sociologically – are due to our separation from nature, our separation from our true selves. Utilizing and connecting with shamanic healing and shamanism – in general – is not only powerfully healing for you as an individual, but also for the planet. Previous PostPrevious What’s the fuss about gluten? Have you planned your next visit? Feel free to contact us to get more information or to book an appointment?